Optimal time to start training your Fila Brasileiro, Tosa inu or any other dog is from its 10th to 16th week, 20th week at the most. In this period of its growth every puppy is extremely receptive. Those days can be crucial regarding the future behavior and temperament of your Fila. At this early age puppy’s body doesn`t produce hormones and without them puppy is more focused on its owner than attracted to other dogs, people or places. In this period you’re everything to your puppy – the provider of food, security, shelter and fun and it will noticeably follow you from room to room and will not let you out of its sight outside the house. You should also be aware that your own inconsistency shall lead to Fila forcing its own leadership instead following yours. Dogs don`t do this deliberately, but that is how things work. It can happen that your adorable Fila puppy is training you while you are training him, meaning that it observes what you are doing very closely. Fila will do anything to get your attention. If you find your Fila puppy irresistibly cute when “asking” you to sit on your bed instead of his own, you shouldn’t indulge this wish because Fila will use the situation to impose its own authority (of what brings him pleasure) instead of listening to you. But when your puppy is well behaved, calm and responsive, reward it with your soft tone of voice and by cuddling. Eventually it will realize what an acceptable behavior is and what is unacceptable. Once the puppy’s body starts producing hormones, its natural curiosity will emerges and then it starts investigating the world around. 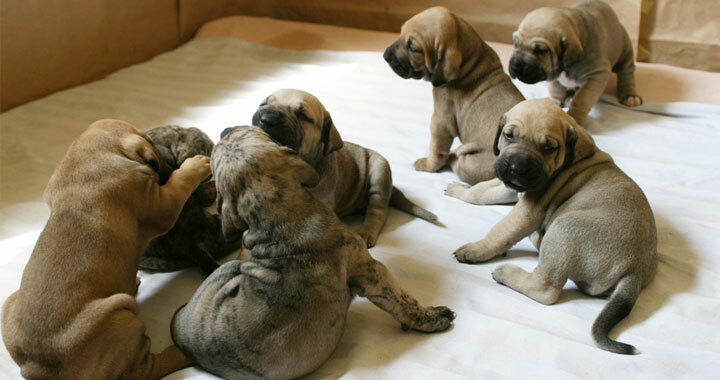 Fila Brasileiro puppy is most trainable before the age of six months but you should certainly keep on correcting undesirable behavior whenever it happens. Our advice to all you moloss lovers: do not let the dogs especially males using your own bed and chairs – this is inappropriate, needless and can lead astray. You always have to bear in mind that your beloved pet, no matter how much sensitive and loyal, is at the same time an animal meaning that it acts instinctively. So, the key to understanding and guidance is to know your dog`s nature and act accordingly. Use your voice as the main training medium. Dogs in general, as well as Fila Brasileiro and especially Tosa inu, are very responsive to their owner’s moods and emotions. So use your voice wisely when you address your pup. Don’t forget that dogs don’t understand human language but they respond to the emotional states beneath. You can’t deceive your dog about your reactions or feelings. Never train your dog when you are angry or upset, because your dog will sense it and connect your sorrowful mood with the training. A puppy also needs to feel itself as a pack member. It is very comforting for Fila Brasileiro and Tosa inu hearing your voice and watching while you are engaged in your business, smelling you at the same time. Those are all positive incentives for puppy’s development. 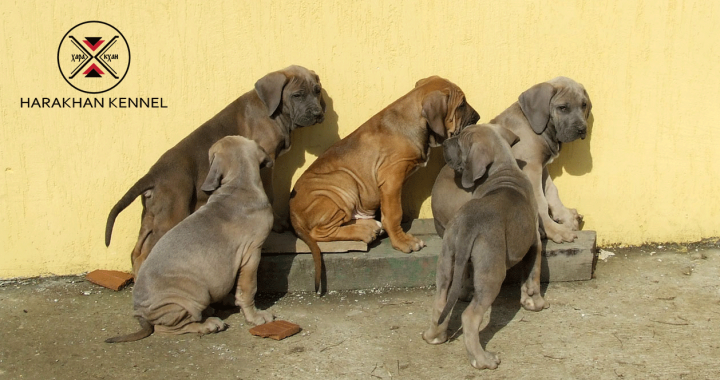 Try to keep a couple more things on your mind when you raise a Fila Brasileiro or Tosa inu dog. Never be too harsh or use force while training them. They may be one of the biggest in the dog world but they are both very sensitive and responsive and there is no need to use excessive force as it is actually a sign of weakness. Your dog should listen to you because it loves you and respects you, not because he or she is afraid. And most of all you need to be patient, love your dog but keep consistent.